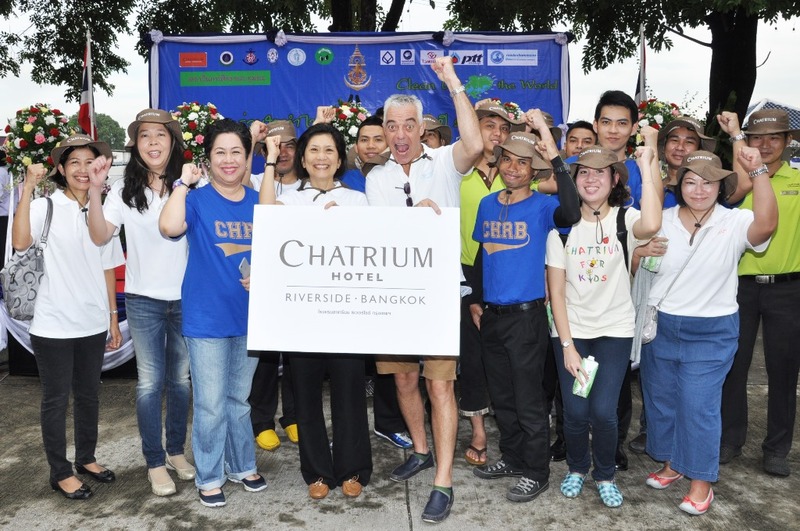 Bangkok, November 5, 2014 – Chatrium Hotels & Residences, led by Managing Director Khun Savitri Ramyarupa and Mr. Adrian Brown, General Manager of Chatrium Hotel Riverside Bangkok, gathered with Magic Eyes and The Royal Thai Navy for a cleaning of the Chao Phraya River in the “Clean Up Chao Phraya River Campaign”. Other volunteers include Chatrium associates and local community members. 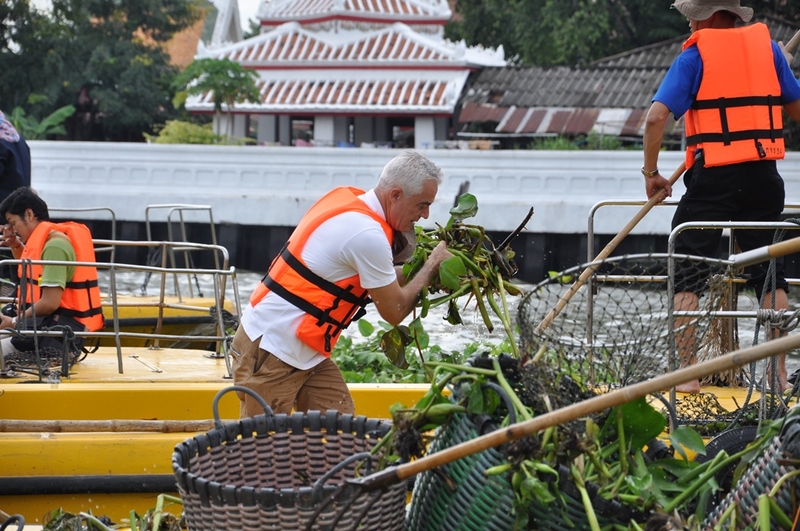 The clean-up team started their journey to collect garbage as well as water hyacinth, which is the main obstacle to river transportation, from the Royal Thai Navy’s pier to Pinklao pier. The activity is, in part, a preparation for the highly anticipated “Loy Krathong” festival on which the Chao Phraya River will be lighted up by hundreds of candles from Krathongs to celebrate the full moon. “What truly lightened the Chao Phraya River is the removal of the water pollution; making this river of life as pure as it used to be. We are gathering here because this month we celebrate Loy Krathong, and without waste and garbage, as a result of this activity, Chao Phraya River will absolutely shine brighter when accompanied by the candlelight of the Loy Krathong night” said Savitri Ramyarupa, Managing Director of Chatrium Hotels & Residences. “At Chatrium, we believe that everyone has a responsibility to ensure our world is not unnecessarily impacted by our presence. We make sure that positive contributions to local communities and the environment will not be left undone”. “We trust that our efforts will build more awareness on protecting the Chao Phraya River as well as promote a trend in reducing the effects of water pollution” state Mr. Adrian Brown, General Manager of Chatrium Hotel Riverside Bangkok. The activity is part of Chatrium’s ongoing green project “Think First Think Earth” in which Chatrium colleagues and volunteers work to improve and to preserve a better environment for the public and communities.